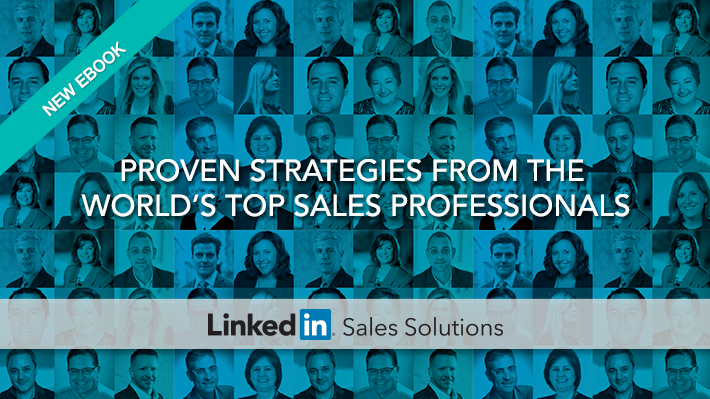 Learn best practices, hard-won lessons, and effective tactics from social selling leaders. For most people, change doesn’t come easily. While that’s not always a bad thing, it does mean that many can miss the major opportunities social media offers for sales and marketing. In fact, social media expert Jim Keenan finds that 72.6% of people using social media as part of their sales process outperform their peers—and social sellers exceeded quota 23% more often than their non-social counterparts. Interest in social selling has never been greater, but many companies still lag behind the competition due to lack of education, support, and tools. Fortunately, all these stumbling blocks can be overcome. Instead of starting from scratch, your team can learn best practices from social selling leaders. So, what are the best-in-class social sales organizations doing differently? Our new eBook, Proven Strategies from the World’s Top Sales Professionals, details success stories from dozens of innovative sales, marketing, and operations leaders, all of whom embraced LinkedIn as a social tool, changed their sales culture, and achieved results. Through this eBook’s first-hand accounts, you’ll discover which best practices to adopt, what pitfalls to avoid, and how these professionals succeeded in today’s hyper-connected sales environment. By absorbing personal stories about how others succeeded in specific contexts, you’ll see how you can apply these social selling principles to your own circumstances. Proven Strategies from the World’s Top Sales Professionals helps you understand how effective social sales tactics become powerful competitive advantages—and how your organization can transform its sales approach now to drive better results. Learn from the best, discover hard-won lessons, and adopt evidence-based social selling strategies by downloading Proven Strategies from the World’s Top Sales Professionals.